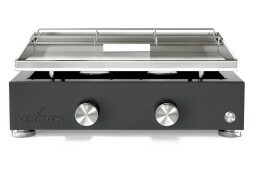 The Verycook gas plancha has been designed for a fun, functional and pleasant use. Its modern design and simple lines are available in 10 colours which are both, original and timeless, and add an eyecatcher to your garden. We have carefully chosen the materials to ensure a professional quality. 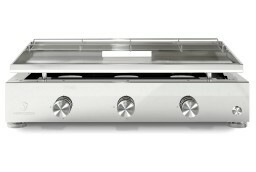 The heat unit of the Verycook plancha is an essential part of your cooking equipment. Its external structure in brushed stainless steel gives it solidity and elegance, while the polished steel inside finishes it with precision. During the manufacturing process, each of the burners flame outlets is drilled uniformly for total control of gas and air combustion and optimal safety. 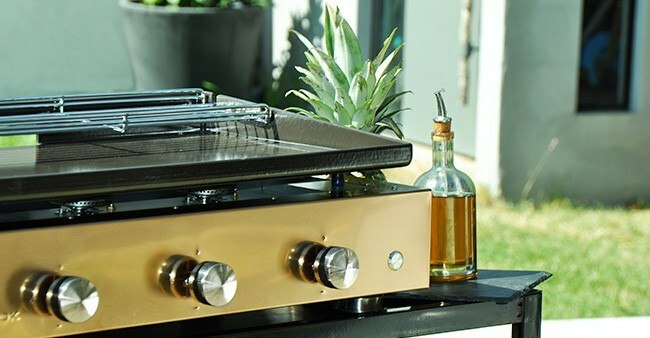 In addition, every burner of the gas grills of the Creative series is coated with fine enamel particles and then heated at over 800°C which hardens the enamel, giving the burners remarkable heat and moisture resistance. The long lifetime of the burners is ensured due to this process. 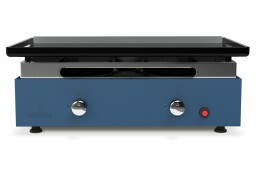 The pigments of the Epoxy paints are sprayed onto the Verycook plancha grills coatings. They are then baked at 400°C for several hours in a kiln. 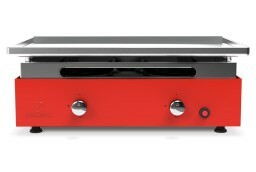 All the brightness of the colour springs out and gives the Verycook plancha its vibrancy. The paints used on the external structure are fully resistant to the sun's UV rays and to humidity. Verycook carefully selects the raw materials for the cooking surfaces. The large 6 mm thick plates of material are inspected and then cut mechanically. The fold of every edge is made manually using industrial folding machines. All the angles are then soldered by hand and polished for a shiny finish. Several more stages and processes are then carried out, depending on whether the cooking surface is in laminated steel, enamelled steel or stainless steel. Afterwards, a final quality inspection is made before each plancha grill is packed and shipped. Verycook makes it a priority to develop modern products inspired by current trends. The colours of the Verycook collection are timeless and eclectic to satisfy your requirements. 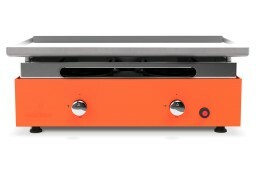 The materials are processed with precision and care so that your gas plancha is impeccable. Verycook creates a range of simple and refined products, focussing on modern yet functional design in its developments. At Verycook we push the meaning of the word "simplicity" to the limit.